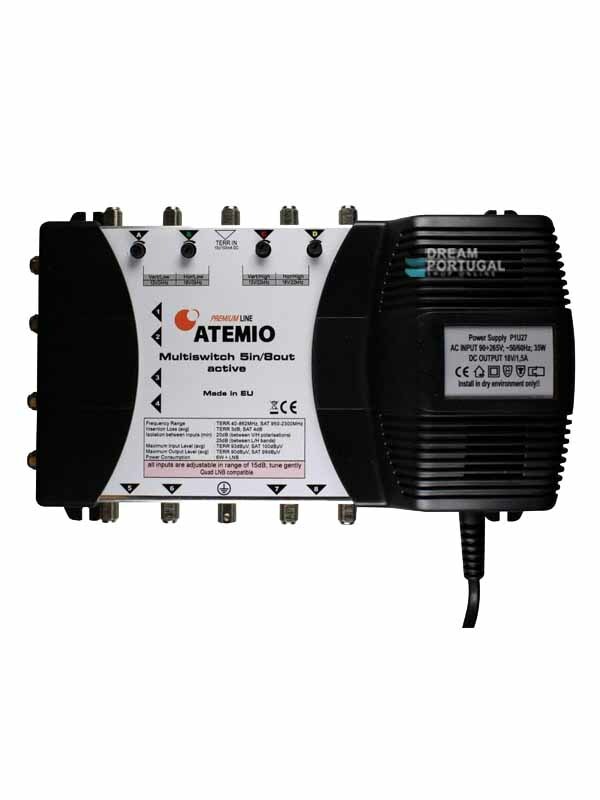 Atemio 5in / 8 out standalone distribution systems. This multi-switch is suitable for the distribution of 4 SAT-IF levels including active terrestrial for up to 8 subscribers. The Atemio Premium Line has been developed for the demanding user. These products have an active terrestrial entrance and have a 2 year warranty.